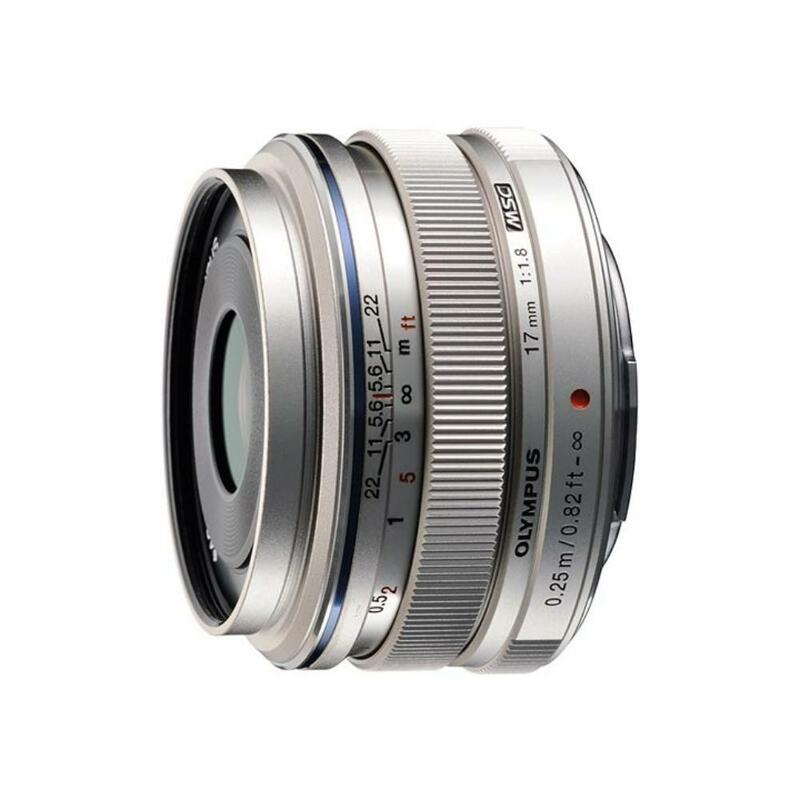 The Olympus M.Zuiko 17mm f/1.8 Micro Four Thirds Lens is an all-metal prime with a fast maximum aperture that is suitable for low light shooting. It features Movie and Still Compatible autofocus with an inner focus system that is fast but nearly silent, which is good when shooting video. It also sports a "snapshot" ring that is pulled back for manual focus control, which some find more intuitive and quicker than flipping an AF/MF switch. When this snapshot ring is pulled back, you can see depth of field scales. This lens is ideal for street and event photographers/videographers.